VizioCONNECT – Unified Contact Center & Customer Relationship Management Suite addresses complex communication requirements i.e. Inbound, Outbound and even blended giving our valued customers the competitive edge. With innovative, technologically advanced & constantly evolving architecture, comprehensive functionalities & rich feature set, the solution caters to virtually any contact center need. The suite offers ease of use for distributed or centralized workforce achieving customer delight and ensuring that your business stays ahead of competition. The VizioCONNECT Suite is modular, flexible, scalable and robust solution ensuring minimum total cost of ownership at the same time maximizing profit margins, thus offering great Returns on Investment. 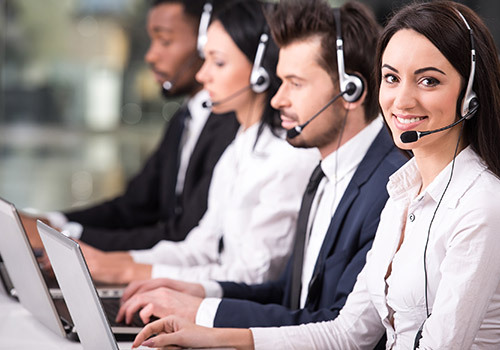 VizioCONNECT addresses complex Outbound and Inbound Contact Center requirements using all possible communication channels like Voice / Email / SMS / Chat / Social Media. Established True Client–Server Architecture with four major applications. VizioCONNECT offers multiple dialing applications. Preview Dialing: Numbers are uploaded in the system. Agent will have the list of numbers to be dialed. Agent will select the number / customer to be dialed out. Progressive Dialing: List of numbers will be uploaded in the system and system will dial the number one by one automatically and will be transferred to an idle agent. Predictive Dialing: System will dial multiple numbers against one agent based on the configuration for unknown database. Voice Blaster ( Auto Dialer) : List of numbers to be dialed is uploaded in the system. System will dial numbers and play appropriate messages for each number by fetching data from the databases. Entire operation is automated, once the numbers are uploaded on the system and dialing is initiated no manual intervention will be required. Manual Dialing: Agent can enter the number in the window and dial on a click. Call Type (Incoming, Outgoing) etc.